The goal is to help students who can’t visualize phenomena from an equation to develop their intuition and learn to analyze signals by inspection. 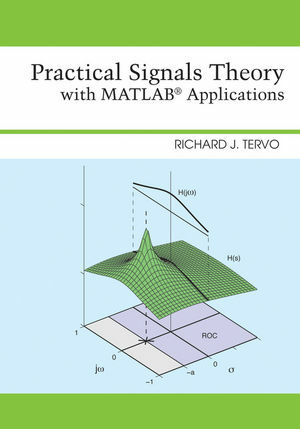 Richard J. Tervo is the author of Practical Signals Theory with MATLAB Applications, published by Wiley. Actual signal behavior, from which mathematical theory is derived, is presented first. Most competing texts do the opposite. Integrated coverage of each transform in the Continuous Time and Discrete Time domains. Extensive use of innovative applications in examples and problems. Provides a strong emphasis on developing student intuition through analysis by inspection.